For a long time, mainstream historiography and social science viewed the rise of nation-states as the gradual overcoming of multinational political organizations and multi-ethnic empires throughout the world. The resulting conceptualization of empires and nation-states as mutually exclusive and chronologically discrete political formations and of the nation-state as the modern norm generated its own anomalies. The Habsburg, the Ottoman, and the Tsarist Empires, powerful global actors until well into the twentieth-century, were explained away as anachronistic survivals of the old order in the face of mounting national challenges. In spite of ample evidence for the coexistence of imperial and national state structures in the nineteenth century and most of the twentieth, the dominant view is that they no longer coexist in the twenty-first. Dozens of state formations which are still colonized in the twenty-first century, such as Europe’s and the United States’ outermost regions and overseas territories, continue to be viewed as exceptions from the above trajectory from empire to nation and as anomalies in a modern world of sovereign nation-states, while their inhabitants retain colonial citizenships and unequal rights with respect to their counterparts in the metropole. At the same time, as outright authoritarianism plays havoc with the facades of parliamentary liberalism in places as different as Brazil, India, and Hungary, the term “sovereignty” has become a compulsory signifier of the far-right chorus. Once associated with emancipatory calls for radical democracy, the “sovereignty” churned out by these authoritarians is little more than a signaling device for ethnocentric politics, oligarchic capitalism, and a revival of racist, xenophobic, and anti-gender tactics. 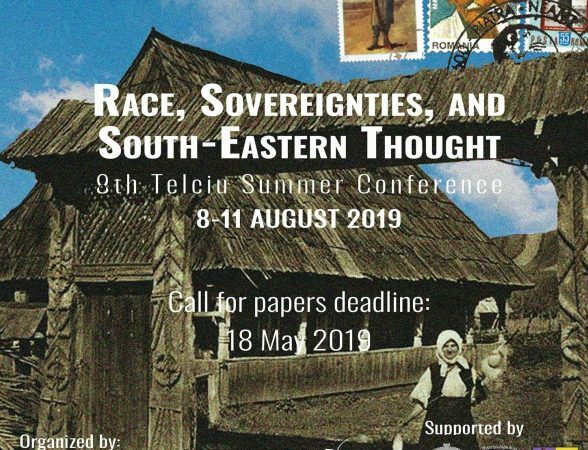 This year’s Telciu Summer Conference engages with the entanglements of race and sovereignty from both the Global South and the European East, in an effort to explore the potential of a common decolonial, politically radical South-Eastern thought. It traces the origin of both processes of racialization and (sovereign) state formation to a colonial imaginary that still shapes racial state politics today. Since all the states emerged with the European colonial expansion in the Americas were new creations, so were all the major ethnic categories, in turn linked to the position of sovereign states within the interstate system and of social groups within states. Thus, while the crude sociocultural hierarchy between Europeans and non-Europeans mirrored the economic and political power differential between colonizer and colonized countries, the various ethnic categories within each state reflected and at the same time justified the division of labour created in the wake of the colonial occupation of the Americas: slavery for Black Africans, various forms of serfdom for Native Americans, and indentured labor for the White European working class. At the same time, ethnicization produced a worldwide racist discourse, in that the devalued segments of the work force appeared as on the whole racially inferior to the dominant ones, regardless of the particular ethnic hierarchy that the process of ethnicization generated in individual locations. While the upper end of the hierarchy mostly included a White privileged segment and its lower end a Black underprivileged one, it was the constant (re)creation of reified racial and ethnic entities that characterized capitalism as a racist system. Against this background, can sovereignty be recovered into a field of emancipatory politics at a time when transnational issues like climate catastrophe and mass migration are the defining condition of our times? Does the inclusive definition of popular sovereignty resonate less with mass publics than its exclusionary recovery by the “take our country back” reactionaries because of ingrained racial logic? Why was it so easy for authoritarians to convert popular sovereignty into a veneer for racism and homophobia? Do we still need sovereignty as a basis of emancipatory politics or are “postcolonial sovereignty games” (Adler-Nissen/Gad 2013) increasingly the rule and “non-sovereign futures” (Yarimar Bonilla 2014)? There are no fees for conference participants. The organizers will cover meals for the speakers and will book the accommodation (single: 80RON/night; double: 120 RON/night). In case you cannot cover the accommodation please let us know as we are able to cover it for up to 5 speakers based on need and by request. Independent researchers or junior researchers will be given priority with accommodation. The conference proper will take place on the 9th and 10th of August with a welcome dinner on the 8th and community activities on the 11th. If you would like to participate, please send us your title, a 300 words abstract and your affiliation in English by the 18th of May to telciuconferences@gmail.com. If you are a speaker of Romanian, please send us your abstract both in English and Romanian, so as to ease the work of our translators (we like to print our materials in both languages in order to showcase our work for the non-English speaking public). 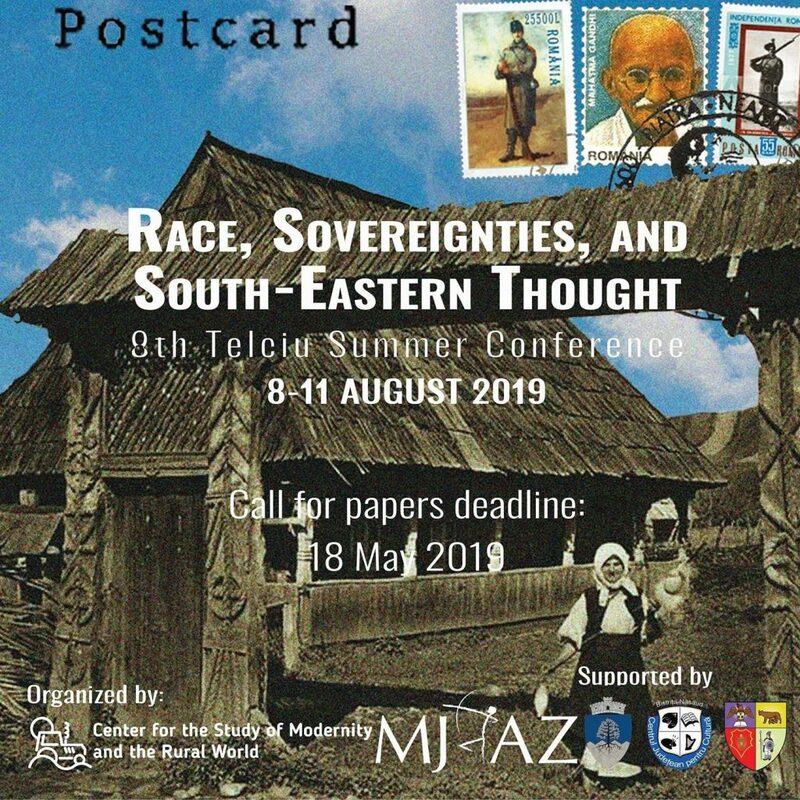 Please note that the Telciu Summer Conference is followed by the Telciu Summer School (11-18 August), in English and Romanian, this year with the same topic. The Summer School is designed around longer seminars and other cultural and artistic activities and has a more open structure as the Summer Conference. If you would like to participate, the Summer School has a separate registration process that will be open from March. However, please let us know if you would like to stay for the Summer School as well. For more information, please visit http://telciusummerschool.ro/. Organized by the Center for the Study of Modernity and the Rural World (CSMLR, Telciu, Romania) and the County Museum of History and Art, Zalău. Partners: Institut für Soziologie, Albert-Ludwigs-Universität Freiburg (Germany), Secondary Technical School of Telciu, Tact Publishing House, Transilvania Print, Observator Cultural, Baricada, CriticAtac, Gazeta de Artă Politică, Platzforma, Transindex, Liga Oamenilor de Cultură Bonțideni, Bistrițeanul, Observator BN, Timp Online, Mesagerul de BN.